Hiking in meter-deep snow might not seem like a good idea. Unless you use snowshoes! Here’s a short guide to what you have to keep in mind when exploring the winter wonderlands! Snowshoes are an excellent possibility to explore the backcountry, be it pristine wilderness or the woods, hills and mountains next door. Especially the latter, in summer often bustling with people, offer a perfect place of solitude and tranquillity in winter! Furthermore, you can study animal tracks a lot better in snow than on grass and rocks. – see my post on that here! Generally avoid hiking open slopes that are steeper than the one in the picture above. Always carry an avalanche-rescue-set with you (Avalanche probe, – shovel and, most importantly, – transceiver) and know how to use it! Always check your weather forecast, especially on the snow layers and avalanche probabilities, like lawine.tirol.gv.at/lagebericht for Tyrol: Only go snowshoeing when risks are low! If you lack profound experience with winter conditions, follow my recommendations above, but stay beneath the tree-line, where there is less wind and generally (except for spring) the risk of avalanches is lower. 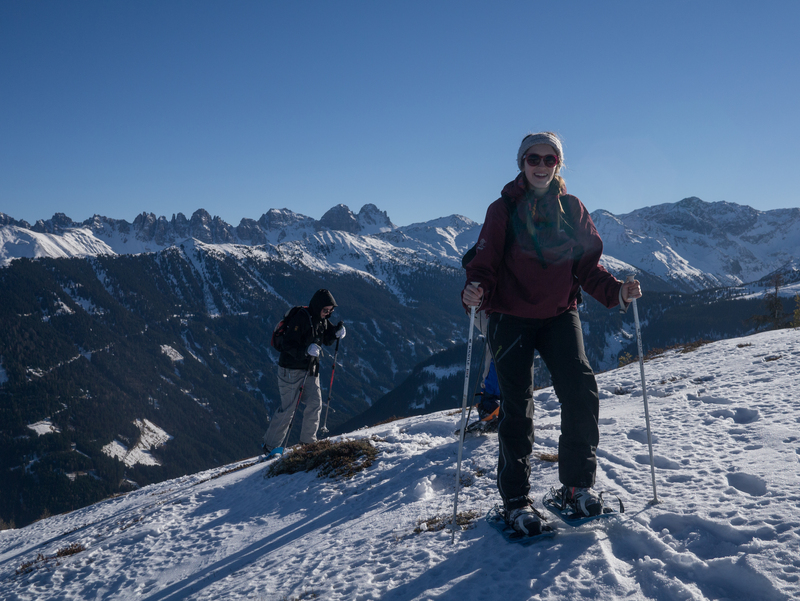 If you’d like to try snowshoeing not only in the planes but on the mountainside and not worry about all the risks: get yourself a guide (like me ;-))! 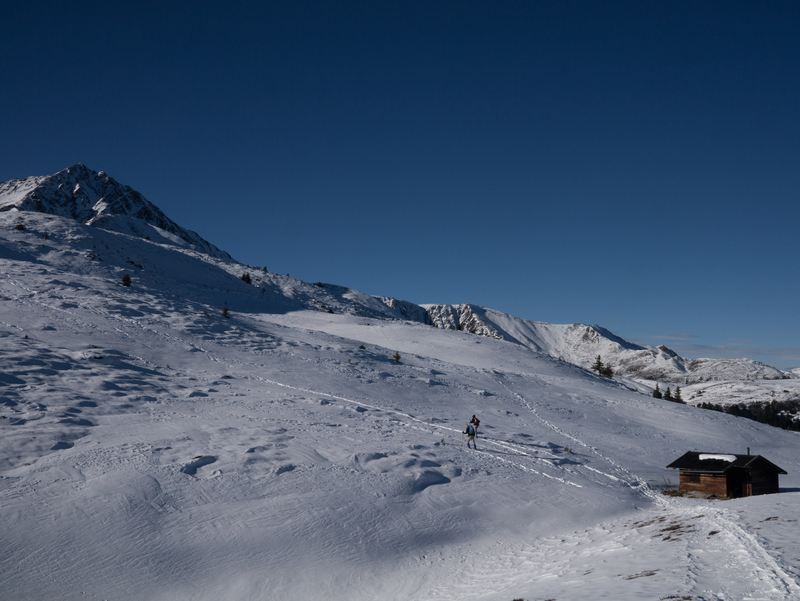 Also for the seasoned backcountry-skier, a tour with a professional nature guide might bring exciting insights about the adaptions of animals and plants to this extreme environment. Apart from those safety precautions, you also shouldn’t leave the trail, especially when you are still venturing through the woods. This is more important, the higher the snow cover is: You might scare resting animals away, and their flight through deep snow is so exhausting, it often means death. Once above tree-line, you are visible from afar, and the inhabitants of the mountains you climb can withdraw without haste. I hope you are enjoying a marvelous winter with many inspiring sightings!